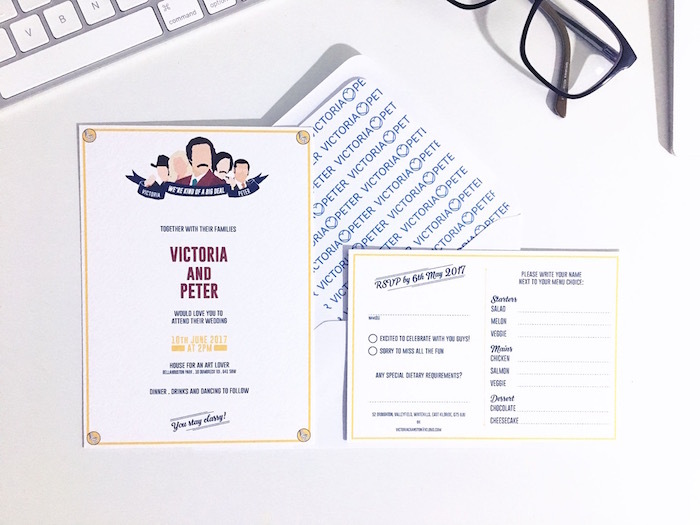 We have been designing wedding stationery for a number of years now and we always get asked the same questions such as when to order your stationery and how many invites should I order. Here we will be giving our advice on the various items of stationery that you can order. What the traditional items are, and the not so traditional. All of the items mentioned are items which we design. We like to split up the our stationery items into two orders. The first order would be your essential items that your guests will first receive. As standard we would say that there are five different items that you could expect to order. 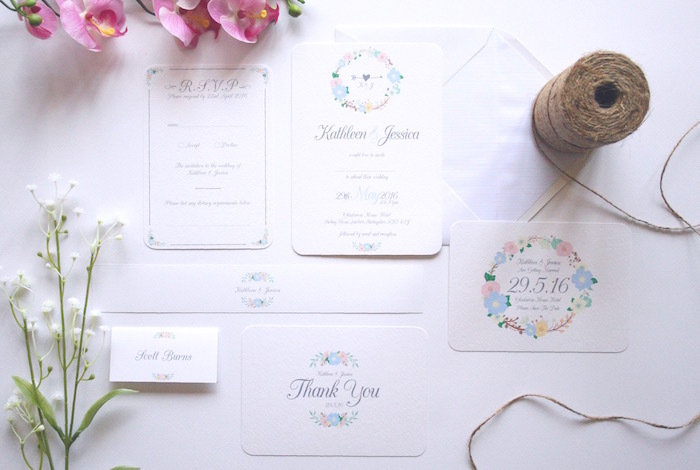 Save The Date Cards, Wedding Invitations, Ceremony Invitations, RSVP Cards and Thank You Cards. We like to have these items as the first order as these are immediately essential to your guests. They need to know where, when and what time your wedding is. 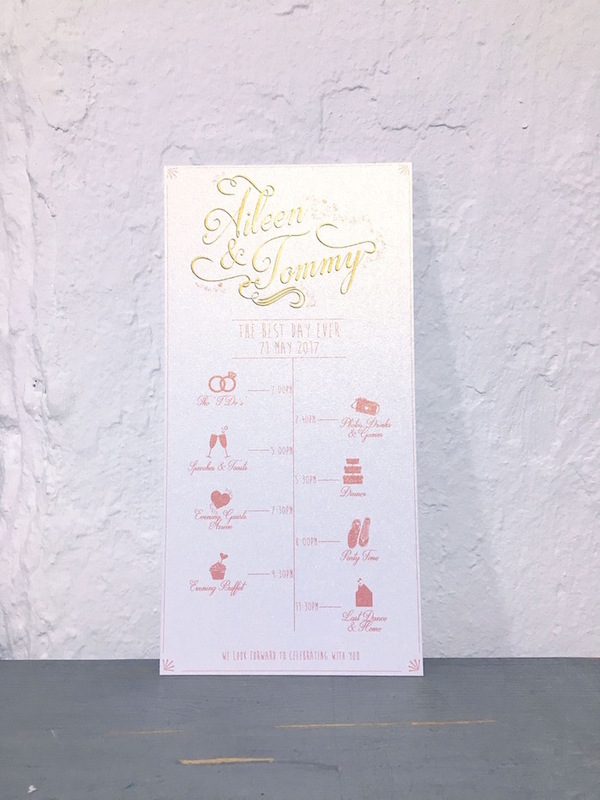 You could order everything at once but our advice would be to first notify your stationer of all of the items you intend to order, from Save The Dates right the way to a Table Plan. 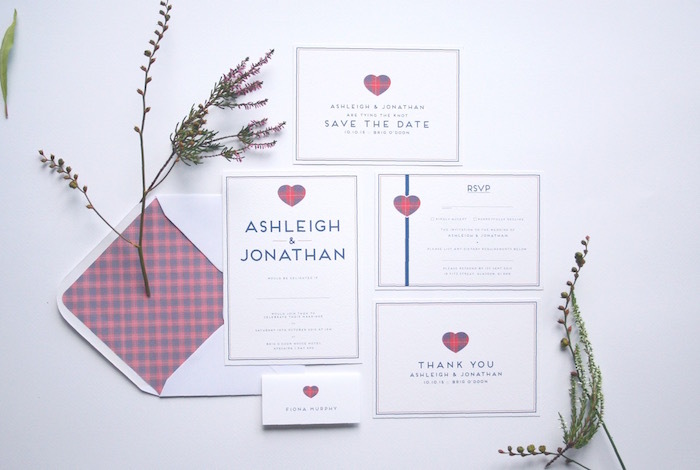 This will then allow your stationer to set up your order and allocate time to design all these items, as well as advising you on deadlines to get your info to them. From there we would advise you to ask to split the order into two orders. This gives you two smaller chunks of money to pay off but it also gives you piece of mind by ticking some more items off your list. As we mentioned above there are the traditional items and the not so traditional. The items we have just talked about would be classed as your traditional stationery items, things most people could expect to see. Now for the more adventurous couples out their you can always be a little brave and have some comments cards or advice cards designed. 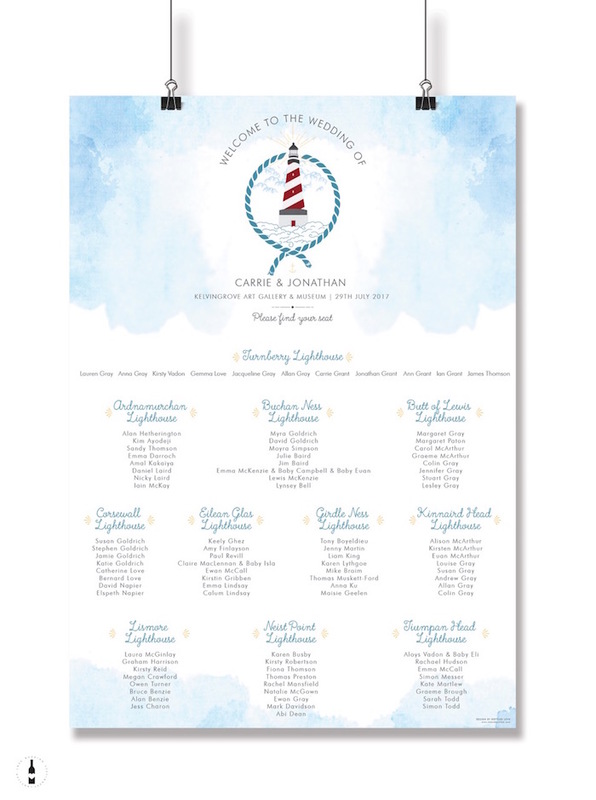 These are a great way for your guests to interact with you and gives you a nice keep sake of the big day. Questions on the card could be things like: “Remember to… “ “Always…” “Never…” leaving a little gap for your guests to write some advice. Other really quirky things to have are Social Media cards. These would be to allow your guests to use a hashtag created by yourselves to then post pictures on Twitter and Instagram, kind of like having an online photo album of your wedding. This also brings up some really cute real life moments.